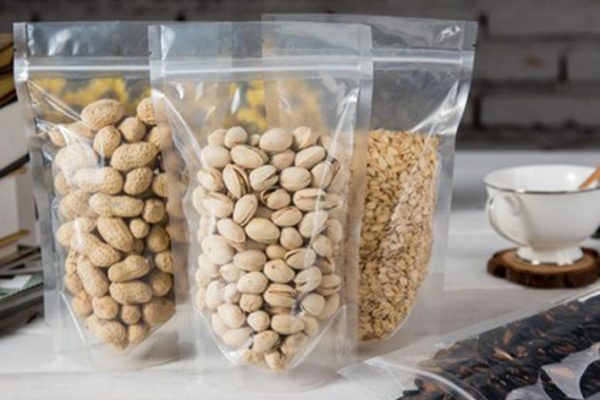 Plastic pouches and paper bags are the top end choice of consumers when it comes to packing food items like nuts, cookies, spices and even milk and oil is available in light- weight and easy to carry packets. There is a wide assortment of options available in the market these days. Plastic bags, paper bags and aluminum packets are highly demanded by the end users. Out of the opulent exhibit, transparent pouches are making its way and penetrating into almost every household. 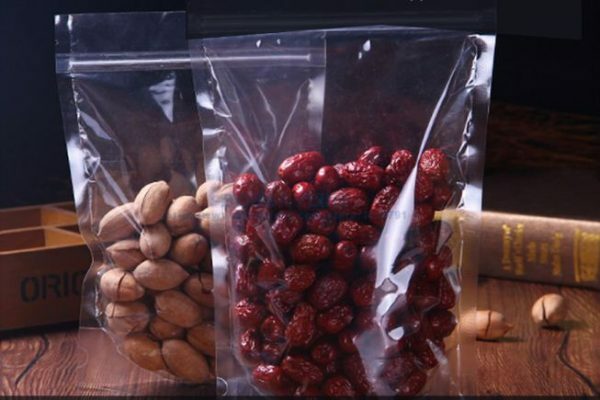 These look through or transparent pouches are becoming the essential and mandatory element and can be seen placed on every kitchen shelf. 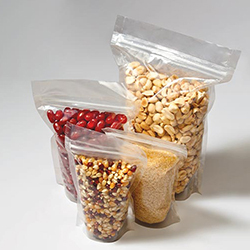 Transparent pouches can be used to store edible and perishable food products like cookies, cashew nuts, almonds, pulses or other liquid products like milk and cooking oil. They are user- friendly, easy to carry and convenient to store. Are you a forgetful person and rummage through all the boxes when you need to add cinnamon essence in your morning coffee? Yes? Then you need to remove all the space- gathering containers and replace them with transparent- look through, light weight, health friendly pouches. The most attracting feature of these unprinted packets is that one can look through them and see what is stored inside them without bothering to open it. The transparent pouches are not just limited to kitchen use but you can use them to store other stuff like stationary items, needle and thread, you can separate your bobby pins from your safety pins and make your life sorted and organized. We at Paras PrintPack, deals with all kinds of flexible Printed/ Unprinted laminated Pouches. We believe in enhancing the quality of the pouches by superior manufacturing techniques. We invite your suggestions and queries at – paraspkg@gmail.com or you can ring our bells on 9810187055. Previous post Bottom Gusset Pouches v/s Side Gusset Pouches Next post 3 SIDE SEAL POUCHES ARE BEST FOR FOOD CASING! !